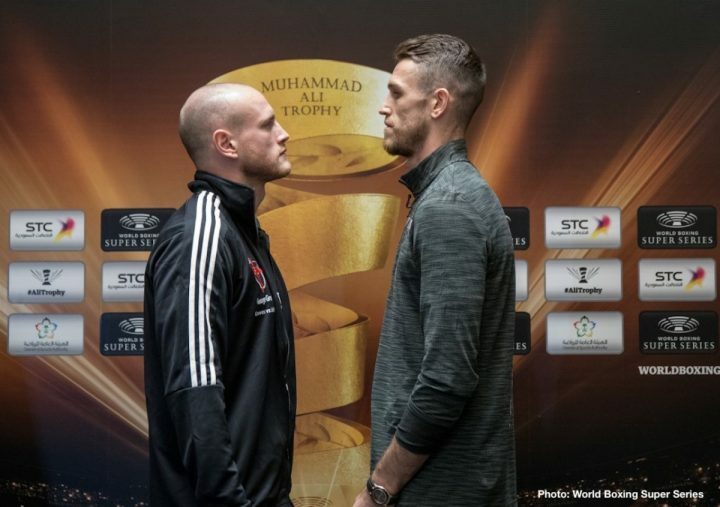 WBA Super World Champion George Groves (28-3, 20 KOs) and WBC Diamond titlist Callum Smith (24-0, 17 KOs) performed with great mood and confidence at Tuesday’s public workout ahead of their hotly anticipated Ali Trophy Super Middleweight Final on Friday at the Indoor Sports Hall in Jeddah, Saudi Arabia. “I am the form of my life,” said Groves after the classic display of shadow boxing and speedy pad work. “I am not too fussed about Callum, to be honest, I don’t know how he is feeling. I am concentrating on myself. That’s what works for me, that’s the winning formula. As long as I’m in a good place no one is going to beat me. ‘The Saint’ is not only mentally in a good place, but he is also in a good place when it comes to the location for the final. 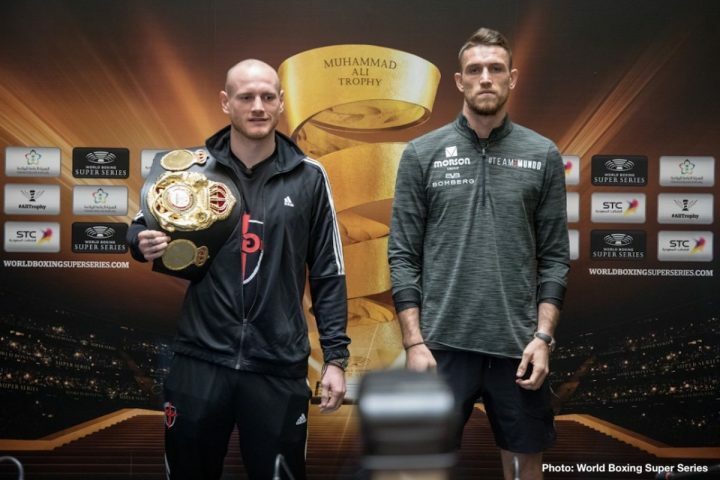 Callum Smith also appeared in the same optimistic mood ahead of his first shot at a world title and the unique chance to take home the Muhammad Ali Trophy at 168 lb. 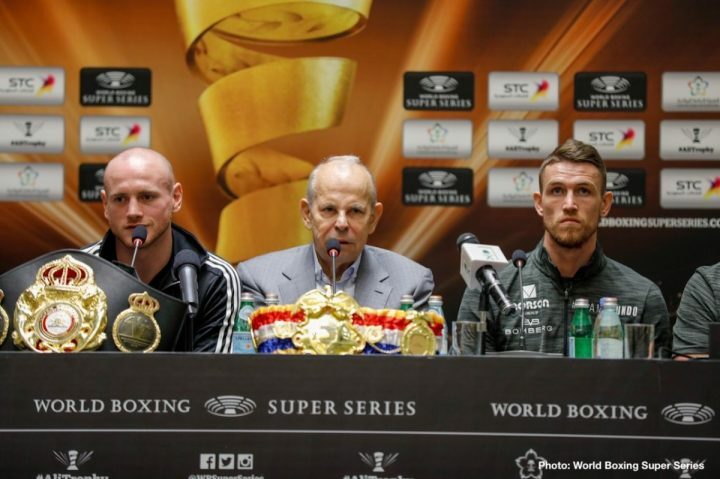 Smith arrived in Jeddah Friday, a few days earlier than Groves, and it has been easy to adjust to the new surroundings. Wednesday the combatants will meet, exchange words and go head-to-head at the pre-fight press conference.